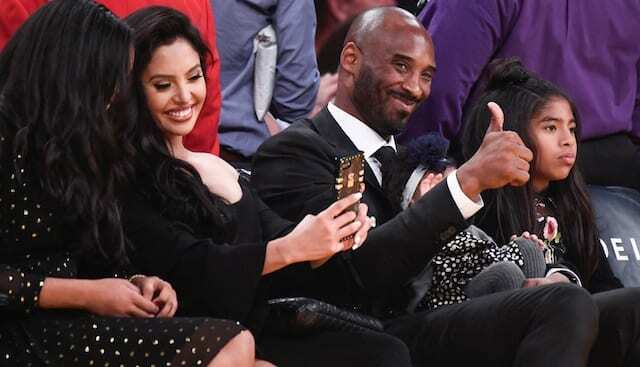 For better or worse, Kobe Bryant would often respond to a poor shooting or scoring night by coming out in the next game looking to remind the league of his offensive ability. 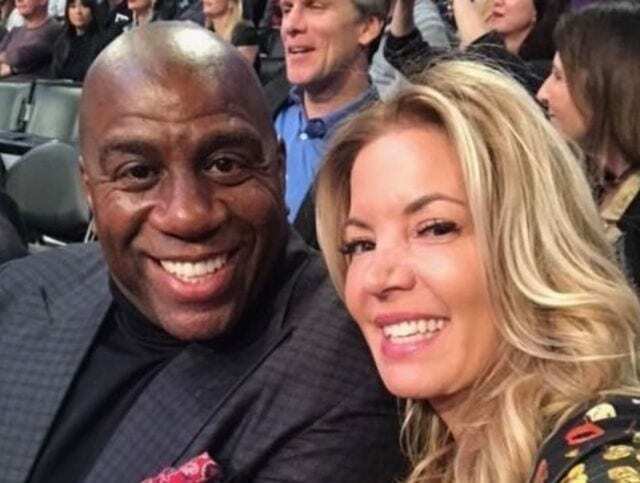 Such was the case on this day in Los Angeles Lakers history. 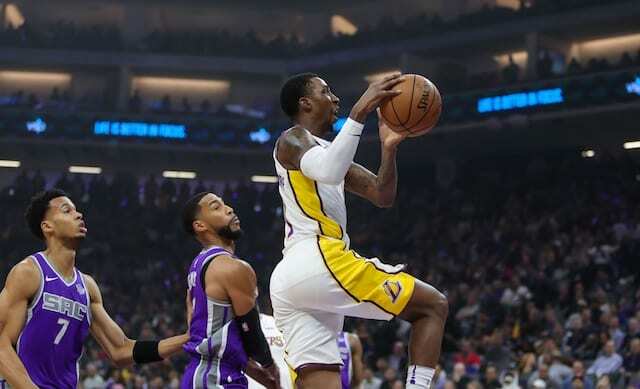 One night after missing his first 15 shots and managing just 11 points on 3-for-21 shooting, Bryant responded with 40 points to lead the Lakers to a 120-112 win over the Klay Thompson-led Golden State Warriors on April 1, 2012. It was apparent from tipoff that Bryant would have a much different night in the second of a back-to-back. He knocked down a string of early baskets and scored 13 points in the first quarter, though L.A. only held a 27-26 edge. 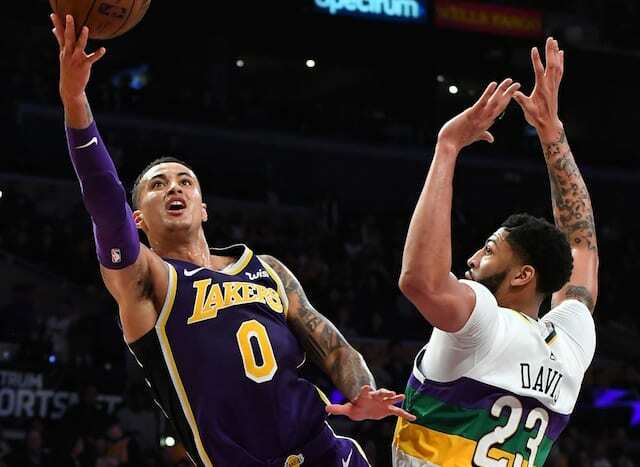 He had just four points in the second quarter but was key in the Lakers holding off the Warriors’ rally in the fourth. They went into the quarter trailing by 13 points but went on a 19-8 run to cut the deficit to just one. Bryant, Pau Gasol and Ramon Sessions combined for all the scoring in a 12-3 spurt that put the Lakers comfortably ahead. But their lead again wilted away. 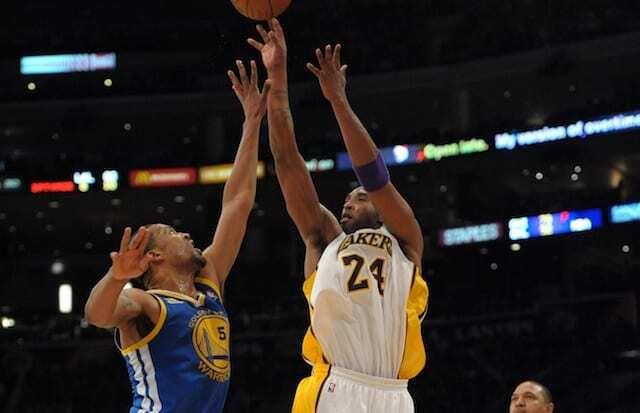 Bryant prevented the Warriors from completing a comeback, however, by making a 3-pointer with just under two minutes remaining in the game. The 40-point effort was Bryant’s fifth of the season. 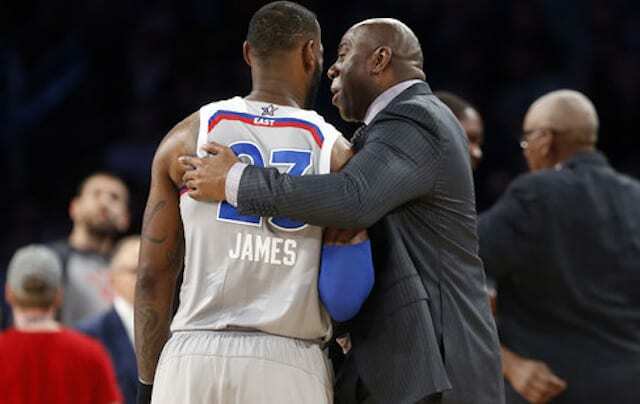 It was also the 112th game in his career with at least 40 points, with the Lakers improving to 77-35 in those contests. Gasol had 26 points on 11-for-17 shooting, and Sessions scored 23 points while making seven of 10 shot attempts. David Lee paced the Warriors with 27 points, while Thompson had 18, Nate Robinson scored 17 and Richard Jefferson contributed 16. Overall, the Warriors had six players score in double figures. The loss was their fifth in a row and 10th in the past 12 games.